Hello Tesla friends from IT. I think a small introduction is in order. I am an experienced Tesla owner from Denmark, now driving a 2015 P85+ and i have done an amazing 35000km so far. I have traveled Sweden, France, Germany and Austria with my Tesla. Now i think back on my Motorcycle trip from Denmark to Isola d'Elba - Montepulcano - Venezia and back in 2010, and i want to revisit Italy. I have a plan to drive to Sicily. With the extended Supercharger network now allmost complete to Magliano Sabina, it is easy to get that far. If Magliano Sabina will complete to summer i can reach Ikea Saverno with a full charge. Then there is 407km to Villa San Giovanni, i dont think much needs to go wrong before i stop with no power. This is possible in Denmark in the Summer, but i dont know about driving in Italy. Now to my real concern. Most habors have 5 pin red 'CEE' plugs in DK. So if all fails i seek for harbor emergency power. Can i do this in Italy? How is power (for boats / power tools etc) at habor locations. What is expected to be paid pr kWh? Can i rely on finding a Red Plug in Villa San Giovanni harbor when / if i reach destination with 0%? Or at any other harbor on the way? Do any of you have other suggestions to completing the travel from Napoli / Saverno Charger to Sicily? Any special adapters i might need? PS. your Forum registration took me some time to figure out. Something about a Goat and a bench your Scioglilingua. good to hear from you. I guess the easiest option to go to Sicily without much hassle is just to take an overnight ferry from Salerno to Messina. Then you won't have any problem or need to find a place to charge! If you want to do the road trip, I'd split it in two. If you want to add few km and visit Crotone which is beautiful, a person has a 3 kw charger on PlugShare willing to share. Or you can just plan for a night to spend in the beautiful west coast of Calabria. Best bet for an easy charge would be finding a camping site. They normally have good power for RVs, and if you choose a big camping and communicate with them before I am sure you can agree on charging. OR just find an hotel / bed and breakfast and ask if you can charge, explaining you may use one industrial outlet they have for sure in the kitchen. If you find a good place where they communicate in English it shouldn't be much of a problem. Or in Cosenza there should be a couple of charging points according to http://www.colonnineelettriche.it/, one is a Renault dealer the other one not sure. Don't rely to much on making 407 km on a full charge, the motorway down there passes trough mountains so consumption is not the same as nice danish flatland! Unfortunately at the moment the situation in the south of Rome ain't still very EV friendly. Watch out on relying on colonnineelettriche.it as this site is kinda obsolete and not maintained anymore ... so you'll better revert to chargemap ... constantly updated. 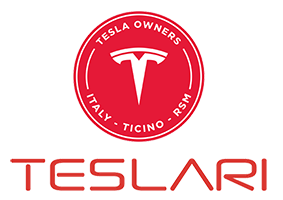 We've got some Teslars in Rome area and some even in Salerno's nearby if I'm not wrong. I'd suggest as Ste told you already on relying better on B&B's structures or hotels by letting them know you'll get there with an EV car. Riapro questo post per chiedervi se avete esperienze nuove di ricarica in Calabria, in particolare percorrendo la A3: da Nord fino a Salerno nessun problema, e poi??? Avete per esempio notizie della colonnina Evcharging a Zumpano (Cosenza)? Sarebbe la tappa ideale. Questa estate ho chiesto in nave: esistono dei giorni in cui è prevista un'area per i camper (perché di norma nessuno può stare in auto neppure sul ponte all'aperto), ma anche in quel caso non è possibile usufruire dell'elettricità... poi se lo fanno come favore non saprei! Comunque io cerco informazioni per attraversare la lunga Calabria via terra! Bradipo, ma che cavi hai per la ricarica ?